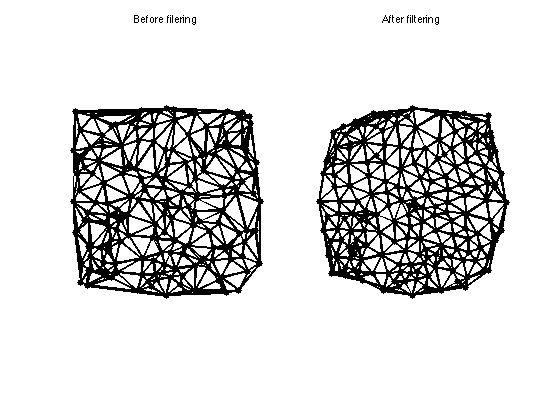 This tour explores some basics about 2D triangulated mesh (loading, display, manipulations). A planar triangulation is a collection of n 2D points, whose coordinates are stored in a (2,n) matrix vertex, and a topological collection of triangle, stored in a (m,2) matrix faces. 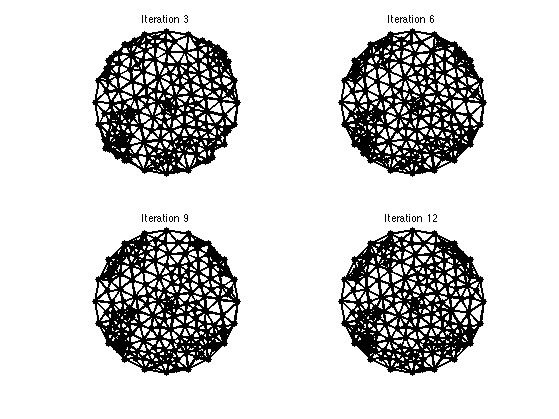 Compute randomized points in a square. A simple way to build a triangulation of the convex hull of the points is to compute the Delaunay triangulation of the points. One can display the triangulation. 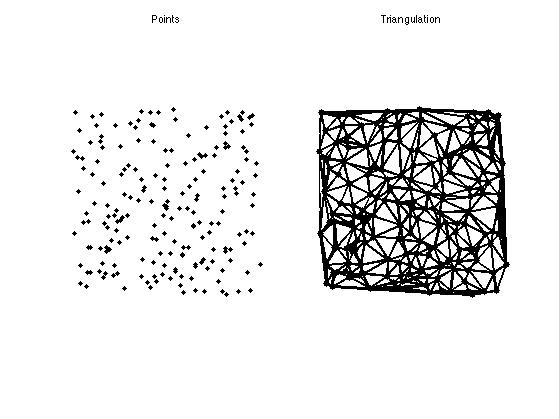 It is possible to modify the position of the points like a particles system. The dynamics is govered by the connectivity to enfoce an even distribution. During the modification of the positions, the connectivity is updated. Fix some points on a disk. Compute the list of edges. We build the adjacency matrix of the triangulation. Normalize the adjacency matrix to obtain a smoothing operator. Set of the position of fixed points. Display the positions before / after. Exercice 1: (check the solution) Compute several steps of iterative filterings, while ensuring the positions of the fixed points.